The House of Care began over 40 years ago as a response to the needs of people in Thomaston and Upson County who were going through difficult times. 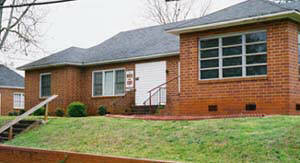 This past year (2011) the House of Care served almost one thousand families with physical as well as spiritual needs. The assistance begins with the application process where folks are evaluated for our services. We direct them to the proper area or refer them to other resources and agencies that may better suit their situation. Before each person leaves we try to meet some spiritual need by talking and praying with them. Assistance comes in one of four areas through the House of Care. The area of greatest need at present is food. Two days a week a rotating group of volunteers from about 35 churches in Upson County distribute food, paper products, cleaning supplies and personal care products through the Food Pantry. 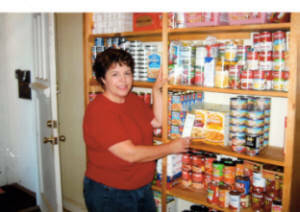 There is also a core group who buy and sort the food and then stock the shelves for the distribution days. The second area is the clothes distribution. 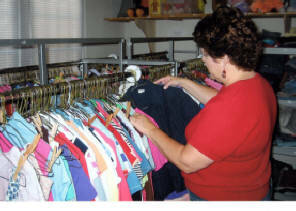 The volunteers in this area sort, size and stock the shelves and racks with donated clothes and shoes and then assist the clients who are served on two days during the week. A third area is Household where clients are helped with furniture, linens, and kitchen items. The volunteers in this area sort the items, stock the shelves and distribute goods. The fourth area is Medical Supplies. Items such as wheelchairs, crutches, and medical equipment are loaned out or given to those who cannot afford to purchase them. All of the goods that are distributed through the House of Care and the money to purchase extra things are donated. And all of the work done through the House of Care is done by volunteers who come from the community of faith in Upson County. The House of Care is a pipeline that God uses to distribute resources from a generous community.